September 22, 2013 Sandy2 Comments on The Trail Is Calling….. Calling all AT thru-hikers and section-hikers! AT Blaze, one of our most popular designs, is now available in a long-sleeve tee. AT Blaze is printed on a pigment-dyed shirt, giving it a soft, this shirt has been washed a hundred times, feel. We’ve printed it on a Smoke colored long-sleeve shirt and Willow and Blue Granite short-sleeve tees. 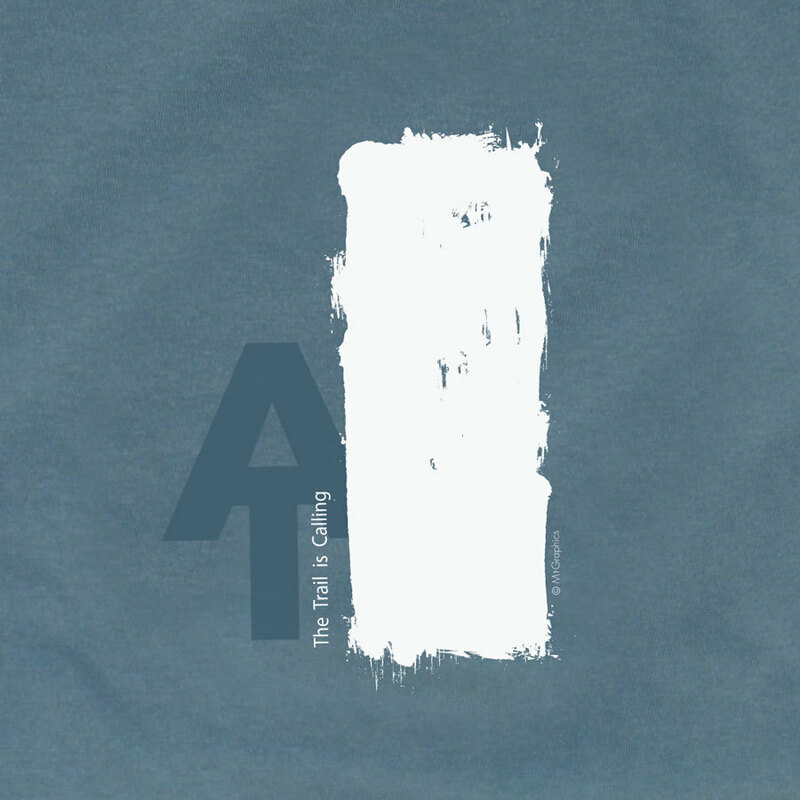 Check out all of our Appalachian Trail shirts and stickers in our store. Do you have a telephone number???? Cannot find it anywhere. I would like to order a tee shirt but want to talk to someone about sizing and where to send a check. Hi Sandy, give us a call at 1-888-764-6450. We’re open Monday-Friday 8:00am-5:00pm. Thanks!